FISHING IS GOOD! 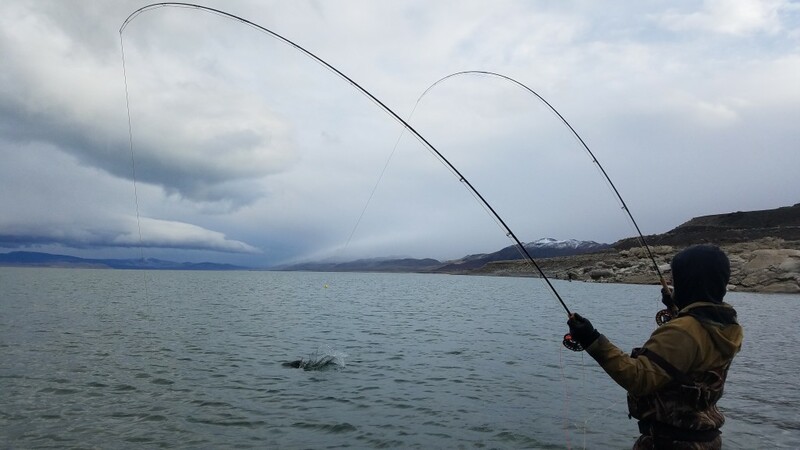 THE BREAK DID US WELL…..
Pyramid Lake Paiute Tribe says they are opening Pyramid Lake to limited recreational use and that public safety due to flood recovery is still a concern. 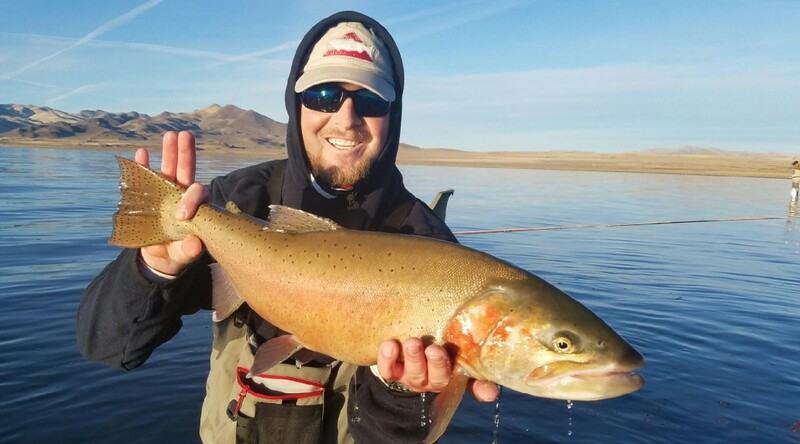 Nixon, NV: After over two months of recovery from extensive flood damage, the Pyramid Lake Paiute Tribe has opened some areas of Pyramid Lake to the public for recreational activities including fishing, boating, camping, and day use. The Tribe has designated the beaches from North Nets to Shot Dog as open to the public, effective Saturday, February 18, 2017. Tribal Chairman, Vinton Hawley, stated “These particular beaches are accessible by the public, however, caution should be taken when using any of the beach access roads due to damage caused by flooding and on-going runoff.” Chairman Hawley also urges the public to be aware that that the floods and fluctuating water levels and erosion have resulted in new drop-off areas, unstable sand walls, and debris in the beach areas. 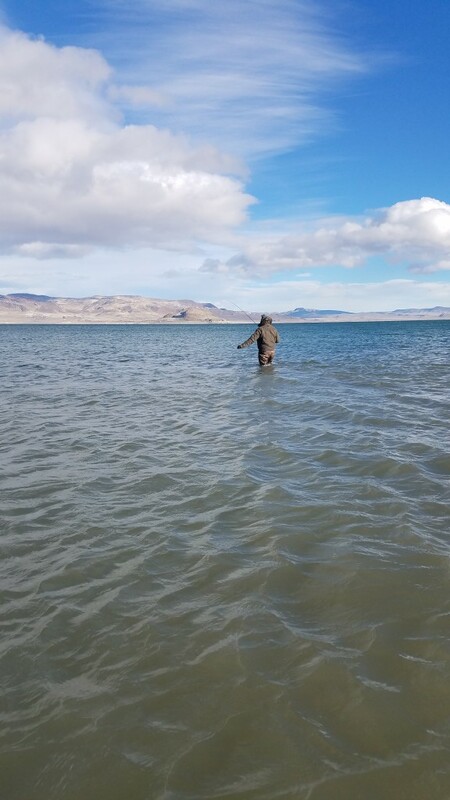 The Pyramid Lake Paiute Tribe has dedicated over $1 million dollars of its own funds to make the necessary repairs to access roads and the boat ramps at Pelican Point so that Pyramid Lake could be re-opened to the public. The Tribe is continuing its recovery efforts to make more permanent improvements and repairs on the boat docks and several beach access roads. Possible opening of partial beaches within two weeks. Please see below from KOLO 8 NEWS and the PLPT Chairman Vinton Hawley. “Sutcliffe, Nev. (KOLO) — Parts of Pyramid Lake could be changed forever as a result of last month’s flooding. Roads were washed out, boat ramps were damaged and parts of beaches were washed away. On Monday, February 13, 2017 crews were repairing one of the many stretches of road damaged in last month’s flood. 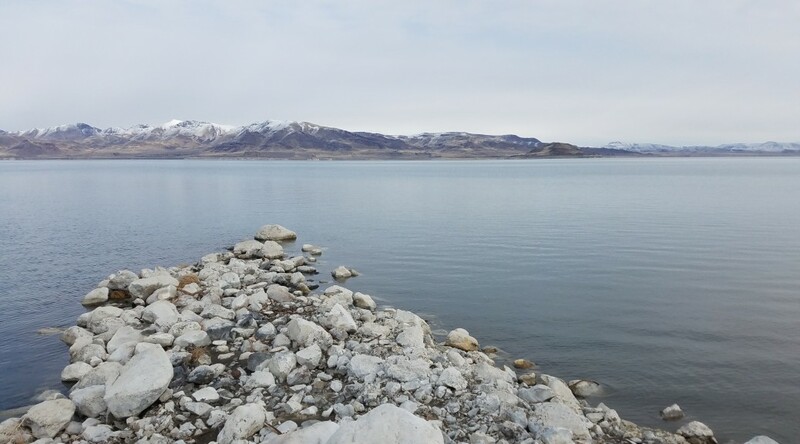 “They are replacing an old culvert from 1963 to a brand new larger culvert to take more water,” said Don Pelt, Emergency Manager for the Pyramid Lake Paiute Tribe. Along highway 446, there are 11 sites where the roadway needs to be replaced. Its condition is preventing the tribe from opening the lake for business. “We don’t want to let them back out here until it is safe,” said Pelt. The problems go far beyond the highway. One of the major concerns right now is on the lake’s many beaches. 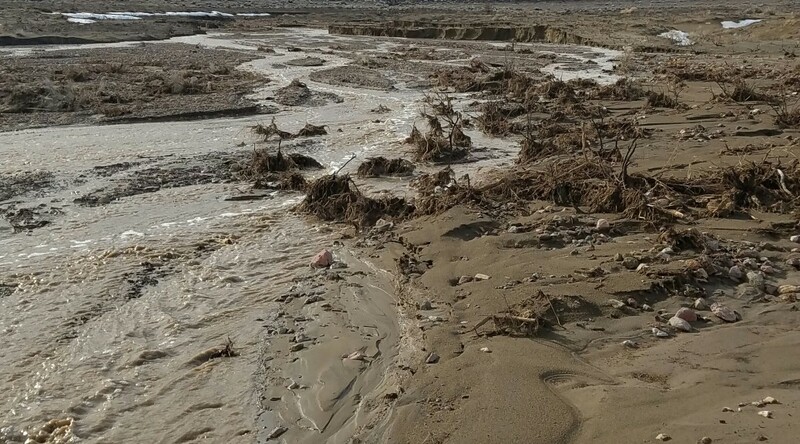 Runoff from surrounding hills cut a five foot high, 50 foot wide canyon in the beach. Tribal officials are concerned someone could drive across the beach and unknowingly fall into the canyon. 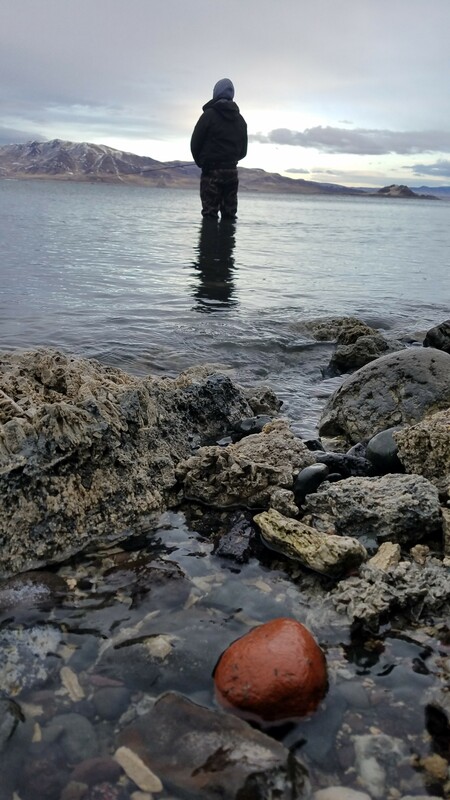 “We’re really looking out for everybody’s safety because of the amount of damage that is not just on the highways,” said Vinton Hawley, Tribal Chairman for the Pyramid Lake Paiute Tribe. Hawley says fixing everything will take time and money the tribe doesn’t necessarily have. $3 million will be paid for by NDOT for highway repairs. An additional $3 million will go to areas like Sutcliffe drive a guardrail remains hanging and the edge of a road drops off to nothing. “It has changed the landscape drastically, but we are moving past that,” said Hawley. Not everything will be repaired, but limited parts of the lake could re-open in two weeks. A full opening is expected by April 1st. 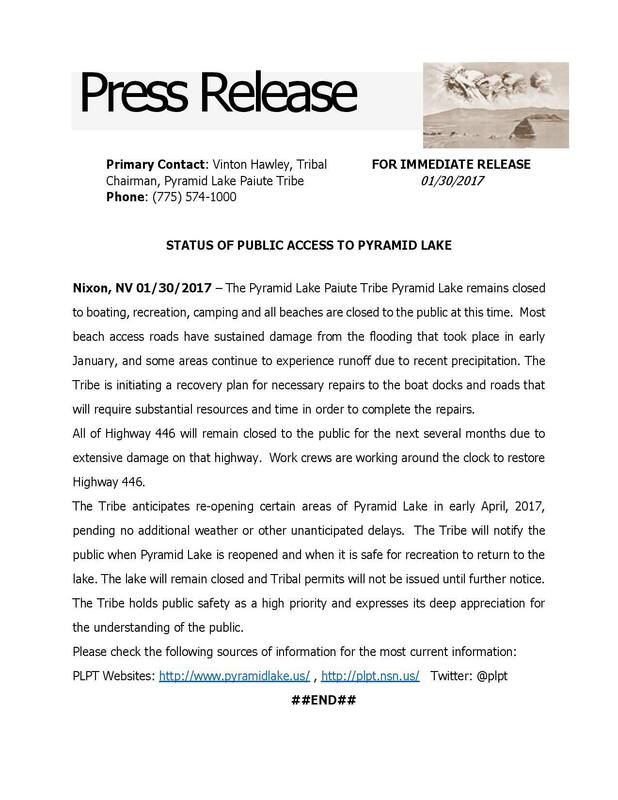 “The Pyramid Lake Paiute Tribe has closed the lake to fishing and other recreational activities for public safety and concern. While State Route 446 is closed for several months for repair, beach access roads are also closed to allow for repair due to washouts. Because of fire damage caused by 2016’s Tule Fire, beach roads have been considered dangerous to use, and it is for the public safety that this is necessary. We are remaining optimistic for a sooner date for re-opening, but there are absolutely no guarantees that this will happen. ALSO, FEBRUARY 2, 2017: The tribe issued a press release stating fishing licenses will not be refunded or prorated. Sales are final. Road crews are working hard to repair damage, and FEMA has been out to assess lake and road conditions with the Tribe. We understand many repairs and the funding to do so are much needed. The Pyramid Lake Guides team also lives on Tribal land in Sutcliffe on the lake- so we have seen the damage to areas. 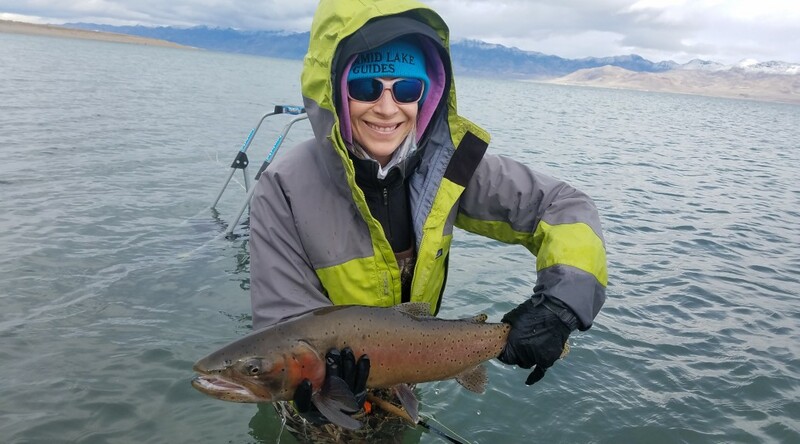 We were fortunate enough to fish the lake after the flooding the day before the closure. Jan. 9, 2017- after flooding, before closure. Thankfully some beaches remain unharmed, most homes were unharmed (a few had some basement flooding), and the road to Reno has remained in tact so we can get supplies from town. The road to Nixon/Tribal Office on State Route 446 is still in bad shape but pilot cars are able to drive Tribal members and school buses through as needed. In Sutcliffe we were without water for a week or so and have been told a temporary fix has been put into place but that a longer term solution will need to be implemented. Jan. 9, 2017– after flooding before lake closure. 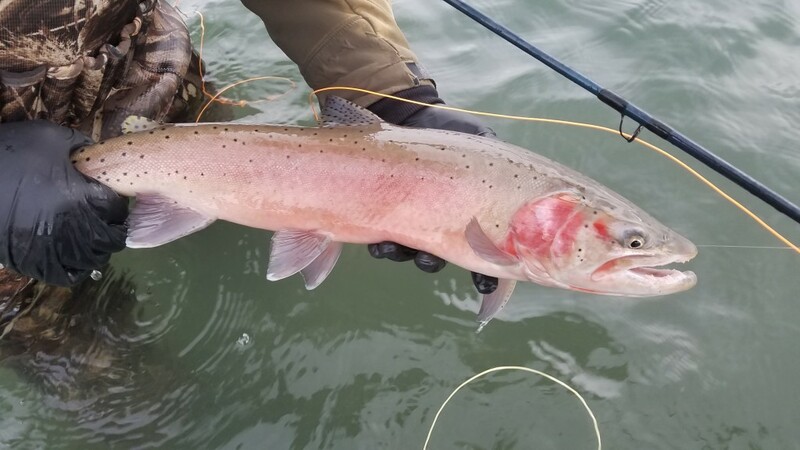 In the meantime these massive lahontan cuttys will get big and strong and will be free from distraction during pre-spawn. 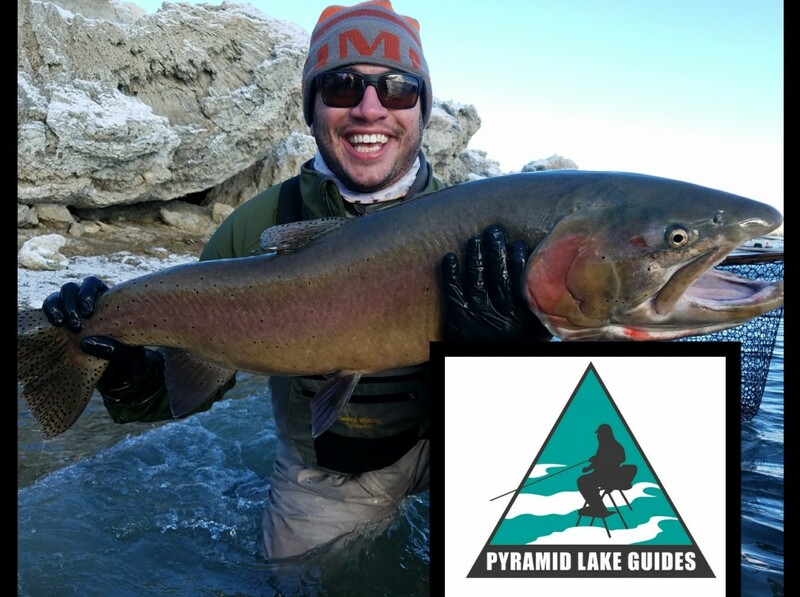 We anticipate the fishing to be epic the 2017-2018 season! Can’t wait…!